Looking for cheap and easy Flights to Frankenmuth? Check out our tips below! The easiest and most convenient Flights to Frankenmuth Michigan (in our opinion) is flying into Flint Bishop International Airport or MBS International Airport (Saginaw area). Both airports are very easy to navigate and are my top choices especially when I am flying alone. It is very easy to obtain or drop off a rental car and easy to find your gate. These flights to Frankenmuth elicit minimal stress, which is key for me. The airport code for Flint is FNT and the airport code for Saginaw is MBS. Rental cars can be obtained from either airport. We utilize Avis most of the time. 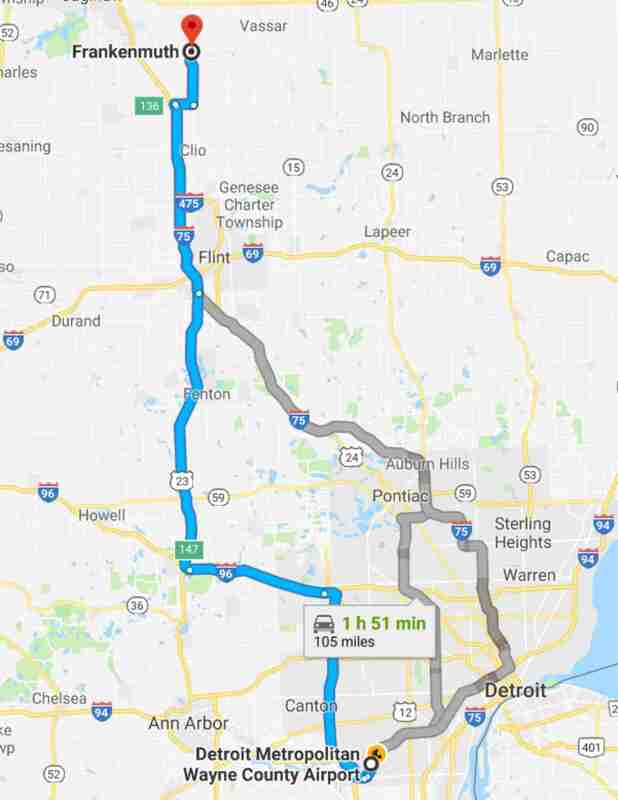 It takes about 35 minutes to drive to Frankenmuth Michigan from either airport so basically the deciding factor boils down to flight costs and convenient flight times. 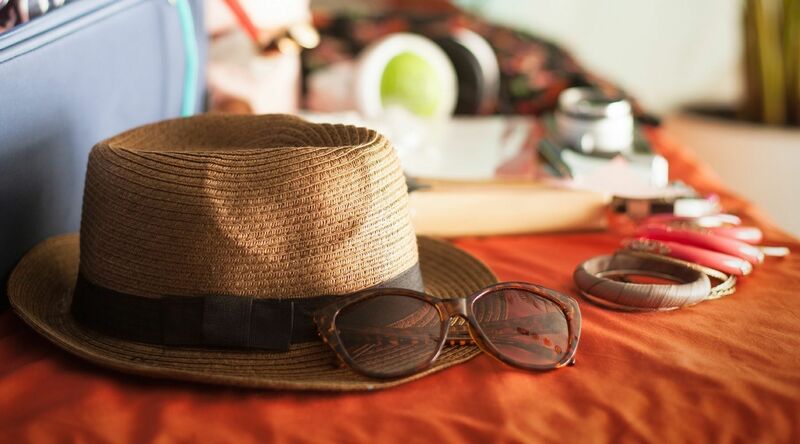 Need Packing Tips? We've Done This a "Couple of Times!" Check out our Frankenmuth Lodging recommendations, Frankenmuth Restaurants and Things To Do in Frankenmuth. Also, be sure to visit our main Frankenmuth Michigan page. We hope to guide you every step of the way during your Frankenmuth, Michigan Adventure! The drive takes about 32 minutes, which isn't bad at all! As you can see, this airport is really in Freeland, a small town north of Saginaw. 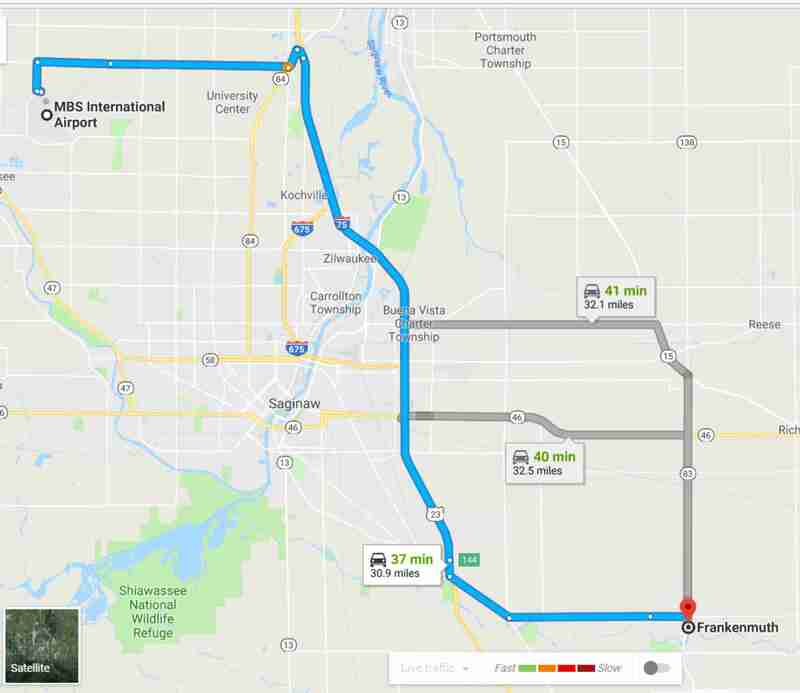 Traffic is minimal and it is easy to navigate to Frankenmuth Michigan. If you are hungry or thirsty, there is a Burger King, Taco Bell and Pat's groceries (deli, salads, rotisserie chicken, cheese, etc) in Freeland. Head west toward Garfield Road. Turn left onto Dixie Hwy. 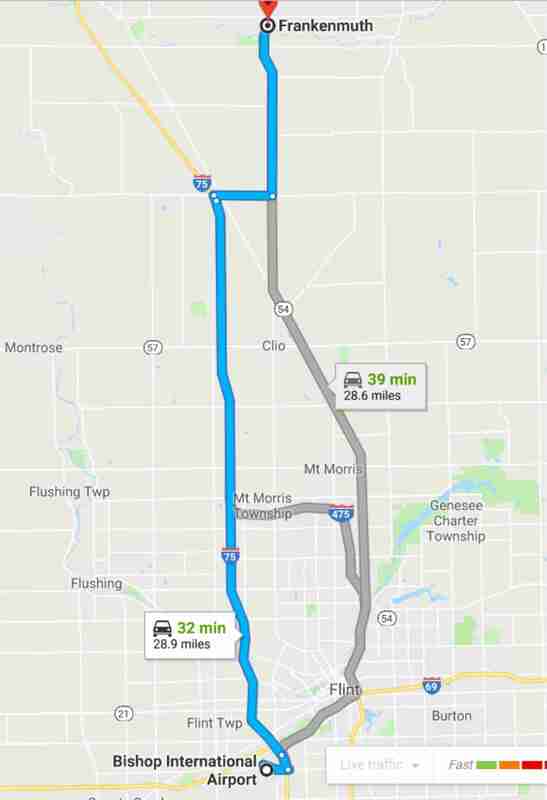 The drive to Frankenmuth takes about 37 minutes which is pretty convenient. In my opinion this airport is harder to navigate due to its sheer size and heavier traffic but it's doable. Rental cars can be obtained from this airport also. Drive time is about 1 hour and 50 minutes but be sure to allow extra time for traffic, especially if it is during morning or evening rush hours.